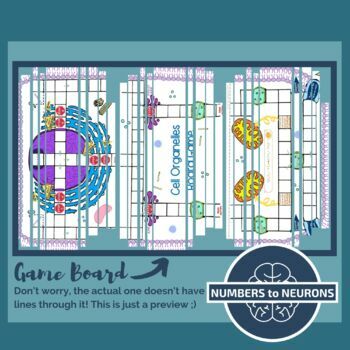 In this BOARD GAME each student begins in the nucleolus as a piece of mRNA and then moves through an animal cell, encountering various organelles before eventually exiting the cell through a channel protein. 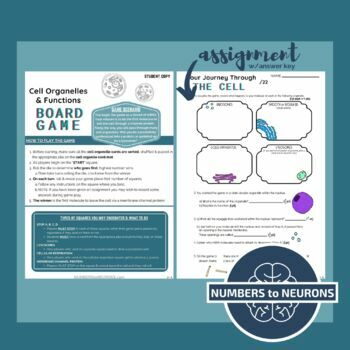 This game and assessment are designed to reinforce organelle functions and how organelles work together to carry out cellular processes. 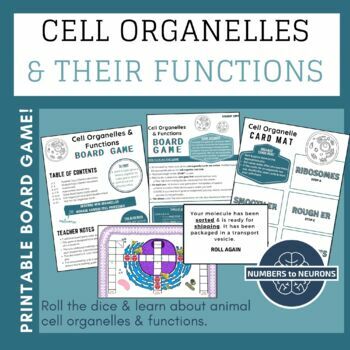 During the game students learn about the functions of various animal cell organelles, including; ribosomes, smooth & rough ER, cytoplasm, golgi apparatus, lysosomes, mitochondria, and cell membrane. 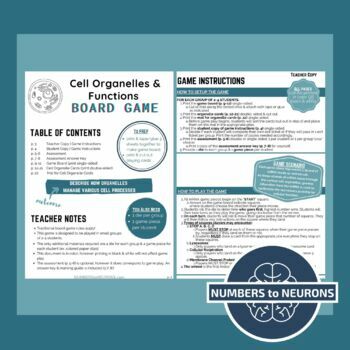 An ASSESSMENT sheet based on game play is included to reinforce functions and interconnectedness of organelles (answer key info is provided below). Have you heard about TpT credits? Leave a review and earn some credit towards your next TpT purchase!